Super D, if you are in AUS, you can get a 150mm Zipp Service Course SL from our distributors. We made a limited run, they have/had some. If they don't have them in stock they should be able to help you find one. Our 140, and 150mm stems are the stiffest alloy stems we have tested. The only thing stiffer is our SL Sprint stem but that only goes to 140mm. Last edited by Nate2453; 03-04-19 at 01:49 PM. - This is why the LOOK Ergostem and similar 2-hinge adjustable stems are extremely useful and worth the extra expense when testing fits. - Finding the right bar + stem + frame combo is a journey. It's also one that many don't put much effort into. Agreed. I used a hinged stem in the pursuit cockpit I borrowed for worlds and it was terrific (except for the slight play until I cranked it down seriously, was worried about damaging hardware, wasn't used to putting that much torque into anything in the cockpit---ultimately ended up buying a new set of stainless hardware and refreshing everything after racing, just to be sure it was 100%). I think a hinged stem is probably ideal for any road or track bike until you're completely dialed, and then a solid might be good for less elements which need attention, and weight if that's a factor. It's funny, I didn't realize how much the frame would come into play on the track bike fit, until getting everything set up for UCI regs. Then it was obvious, even though I was on the same size frame as my road bike, I was on one size too short of a frame for track. Funny, this probably happens to lots of people; I've just unknowingly made the same mistake others have made. Part of the learning process. 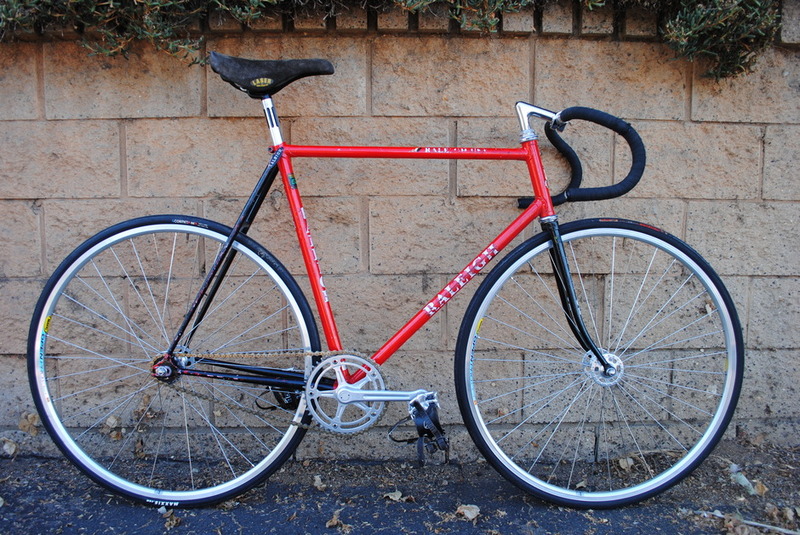 There was a rule of thumb when I started on the velodrome in the 80’s that said buy size smaller than your road frame. I never felt super dialed in until I bought a frame from a teammate who about my size that he had custom made. Found out that I needed a longer top tube than what a size smaller frame could accommodate. That rule of thumb was around in the early 2000s but quickly got debunked when aluminum and carbon frames showed up with shorter head tubes. Complete with long head tube, long reach stem, long and deep bars. If anything, the rule of thumb advice now is, "Get a track bike with a TT 1 size larger than your road bike." - More aggressive positions (lower back) for the shorter races (shorter than road rides/races). - Narrow bars push the back up. To reclaim your position, you have to push the front of the bike out forward by increasing the top tube length.